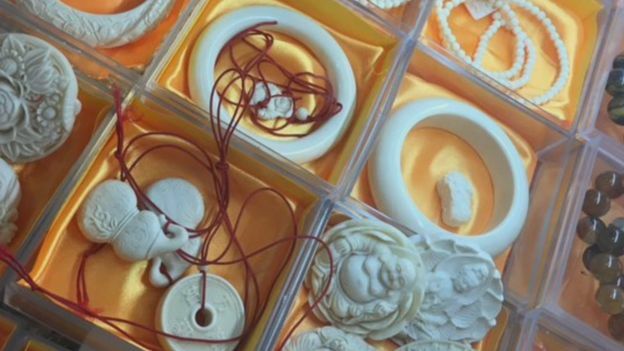 While trying to save elephants, they have found ivory from another animal that is now extinct. In the WildGenes laboratory of the Royal Zoological Society of Scotland, Dr Alex Ball is drilling what sounds like a giant tooth. Which is in effect what it is: an ornately carved elephant tusk. The lab is working with three partners in a project funded by the UK government’s Department for Environment, Food and Rural Affairs. Together they are building Cambodia’s scientific capacity to preserve its wildlife and combat the ivory trade which passes through it. Dr Ball’s team has helped establish the first conservation genetics laboratory in Cambodia. 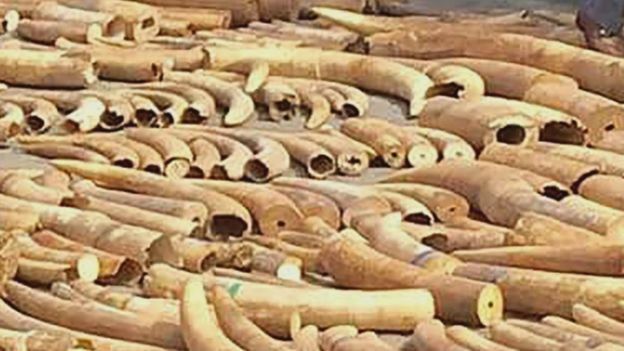 The country lies on an important route for smuggling ivory from Africa and Asia. Which continent the tusks have been stolen from can have legal implications. 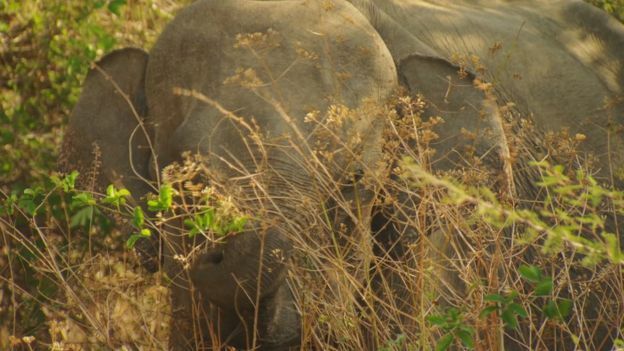 “Elephants are being decimated in their thousands across Africa,” Dr Ball says. 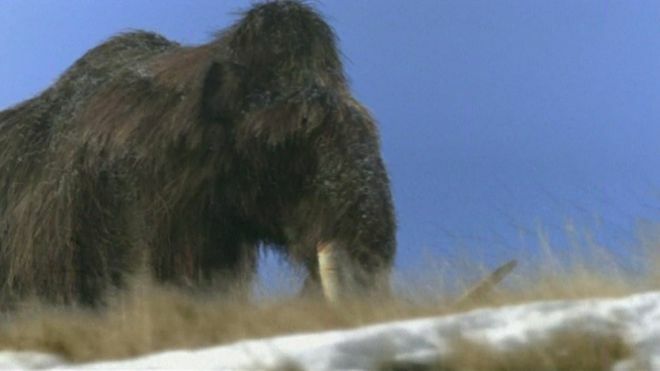 DNA from tusks is unlocking those secrets. “We can basically break down that dentine and calcium and get those cells out the ivory – and then identify the individual that grew that tusk,” he added. The WildGenes laboratory is the only zoo-based animal genetics lab in the UK and one of only a handful in Europe. 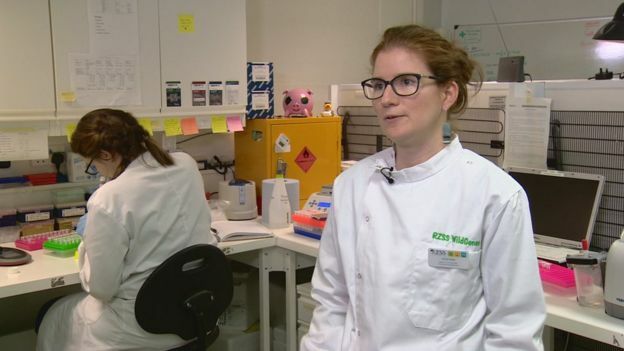 The head of conservation and science at the Royal Zoological Society of Scotland, Dr Helen Senn, says it plays an important role. She continued: “Often endangered species are quite genetically unusual and unique and they haven’t been worked on before. “They’re not interesting to medicine or agricultural science. But in the work on Cambodian ivory samples the researchers have uncovered something even more exotic: DNA from woolly mammoths. Cambodia has between 250 and 500 wild Asian elephants of its own. It is difficult to assess how well or otherwise they are is faring – or even how big the population is – as they tend to stay deep within the jungle. DNA sampling can provide an insight here too, although drilling tusks is not an option on live elephants. Instead the conservationists have to seek out faecal samples – DNA from elephant dung identifies individual elephants and so builds a picture of the total population. African elephants are classed as vulnerable, the Asian species is endangered. The trade in their ivory goes hand in hand with smuggling other illegal products like rhino horn and pangolin scales. 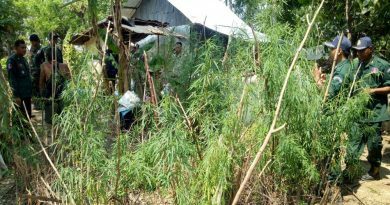 That is why the partners are developing more genetic tools to help Cambodia identify other kinds of contraband before it is too late.